It’s pretty difficult to simplify all the work United Way does, but to break it down in a nutshell, they have three primary objectives in the communities they serve: improving education, helping people achieve financial stability, and promoting healthy lives. If you’ve already checked out MillionIdeas.org, you know that promoting healthy lifestyles is right in our wheelhouse, and that shared goal is why we have so much respect for the work United Way does. “The idea behind Days of Caring is to unite a community to work on projects that non-profit organizations need accomplished, but don’t have the resources to complete them on their own. Without the help of volunteers, many of these vital projects would not get done – but, on this one day, through thousands of volunteer hours (and hard work), great things got accomplished! We had two teams take part in the event, a morning team and an afternoon team. The morning team worked at the Greenhill Humane Society to give the landscape a much needed make-over. Our team got down and dirty filling a dumpster with yard trimmings and debris in an effort to make the facility shine! 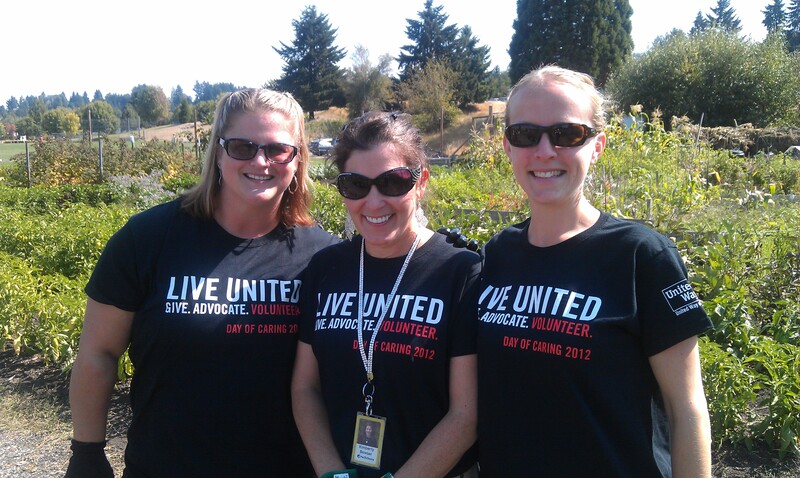 The afternoon team helped at the Food for Lane County’s Churchill Garden. Since eating healthy foods usually carries a higher price tag, this garden helps out by growing organic vegetables that are then distributed to families in need. Not to be outdone in the “dirty” department, this group tackled weeding, composting, and even tackled some harvesting. 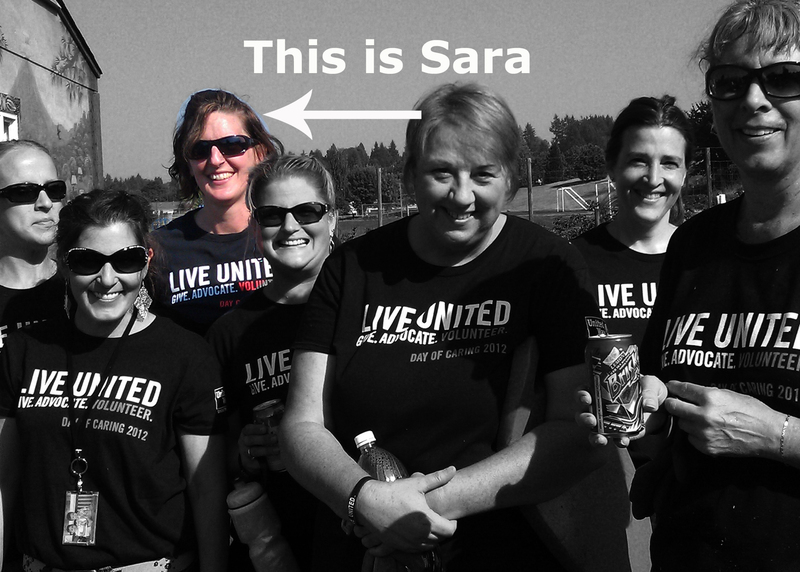 A huge thank you to United Way for being such an innovative non-profit. And, thanks to all the other volunteers that chipped in last week. If you took part in any Days of Caring events, what did you do? We’d love to hear more volunteer stories!